Hi Everyone! 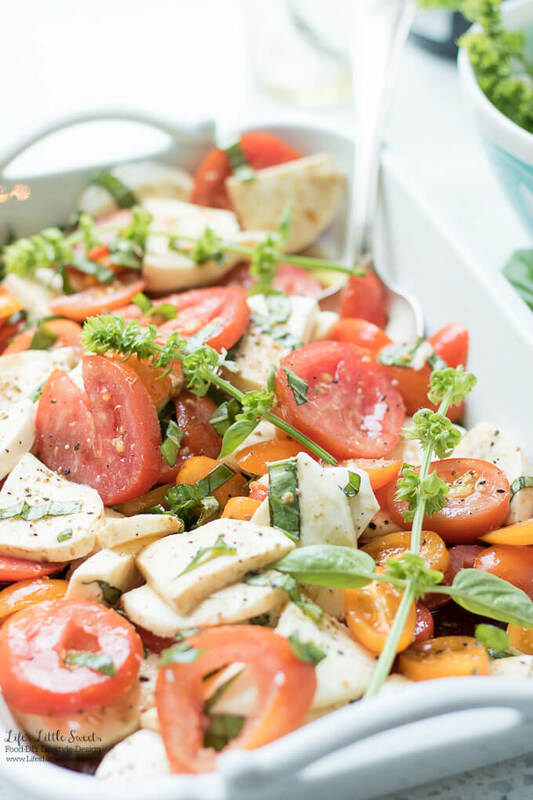 I am so happy to share with you one of my all-time FAVORITE salads: Tomato Basil Mozzarella Salad. 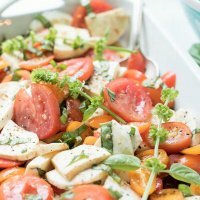 Now, there are all different ways to make this type of salad, this recipe is a simple, no fuss version – no fuss is the way I like my recipes! 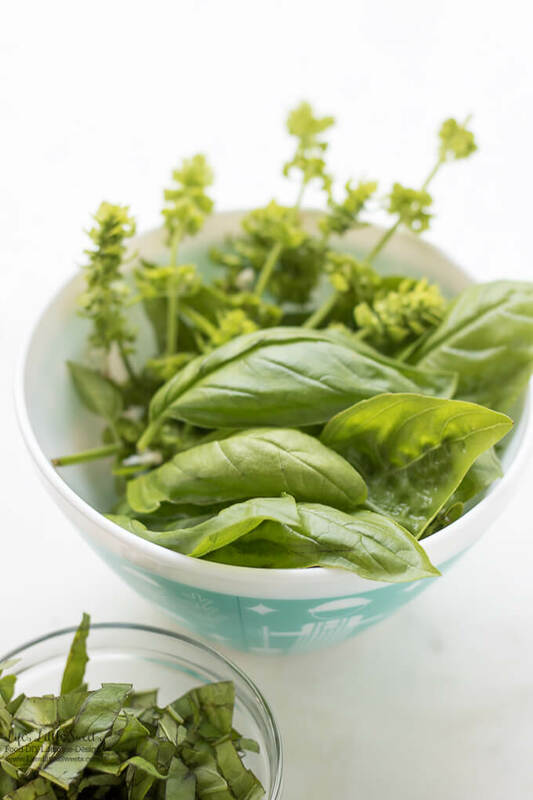 This recipe is one of my “garden-inspired” recipes, you can see all of the garden-inspired recipes, here. 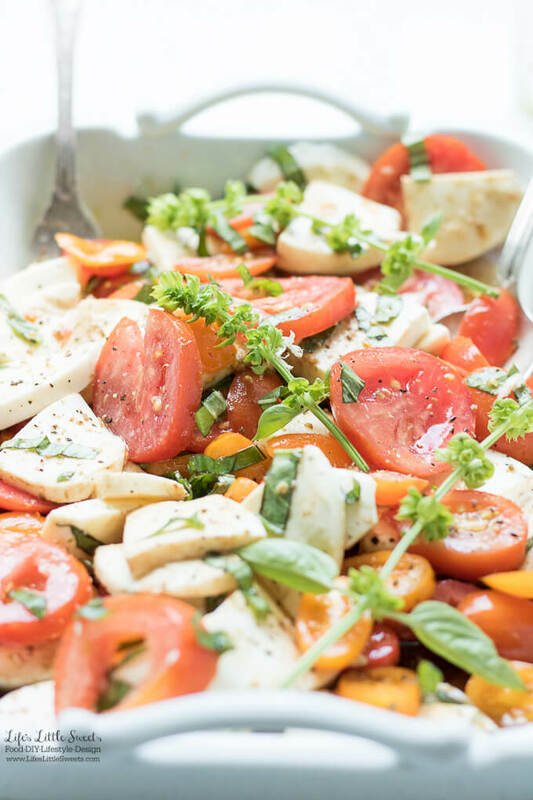 Let’s talk ingredients: For this recipe, I used a medley of tomatoes, some red, sweet grape tomatoes, yellow “Zima” grape tomatoes and cherry and grape tomatoes from my garden. The total amount is 2 1/4 cups (13.8 ounces) but you can use more or less, depending on what you have, this recipe is very forgiving! 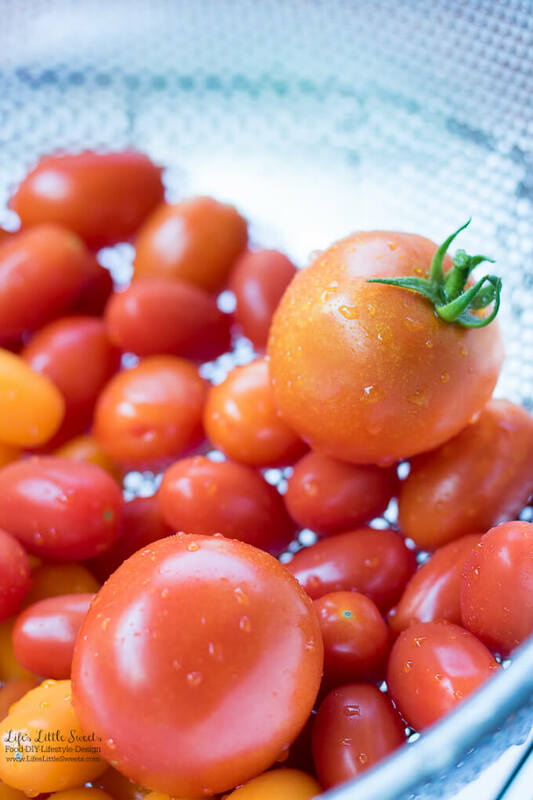 Try to get “vine-ripened” tomatoes because their flavor is better. 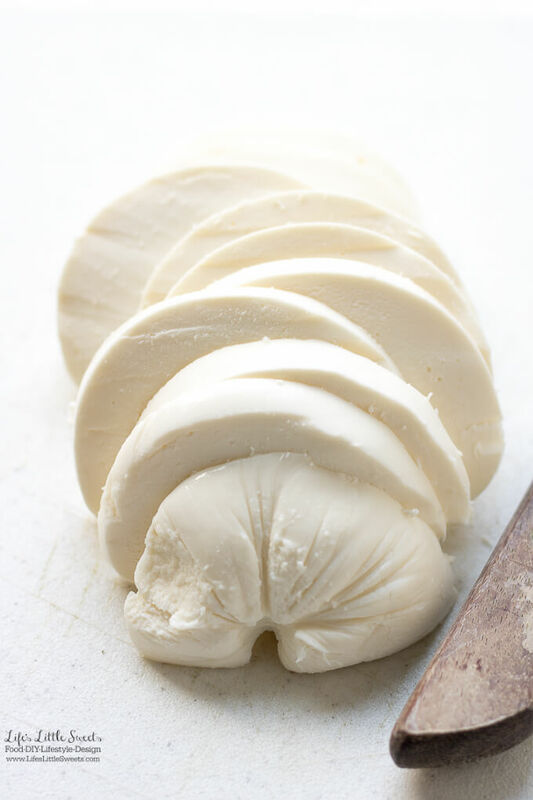 Mozzarella: I used a ball of mozzarella cheese, 16 ounces. I cut the ball into slices and then each slice into quarters. I would say have the cheese slices match the size of the tomatoes. 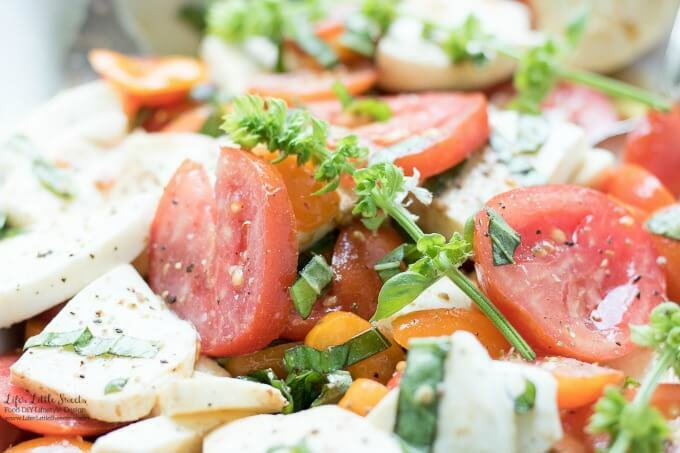 For example, if I used large Heirloom tomatoes, I would have the Mozzarella slices in a larger size. 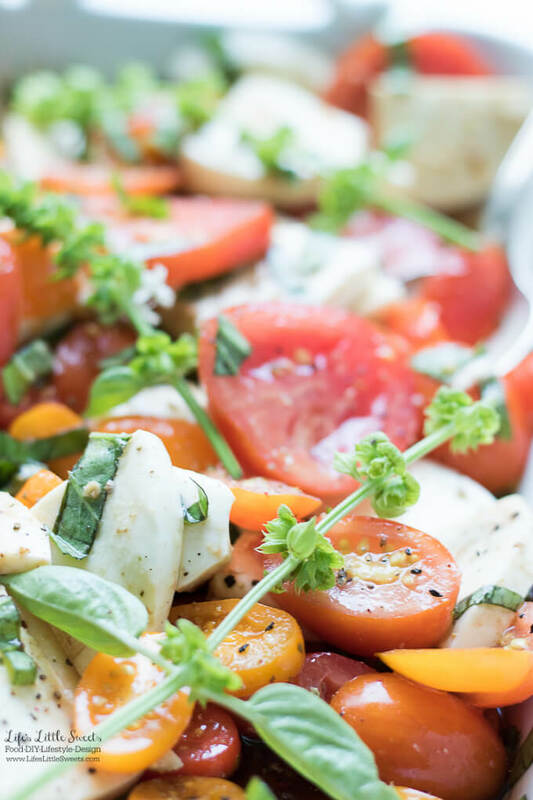 This Tomato Basil Mozzarella Salad is great for any Spring/Summer/Fall gathering or holiday. 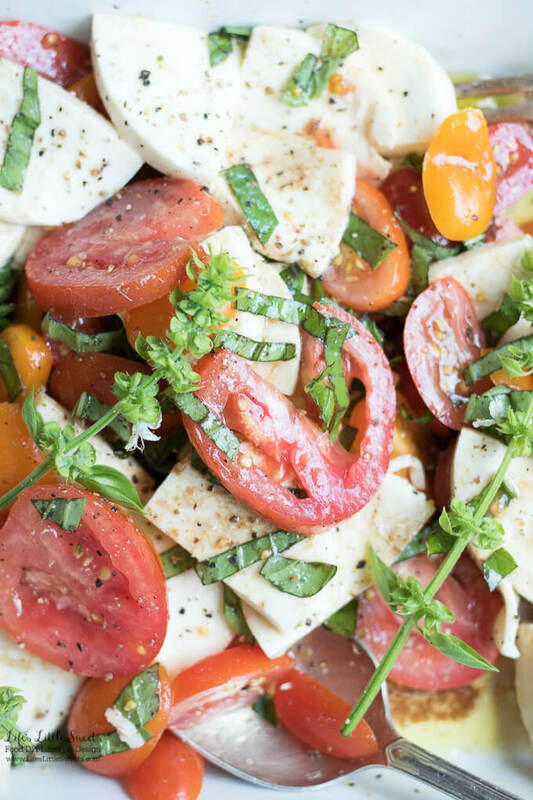 It’s a crowd-pleaser because it’s so fragrant and delicious. 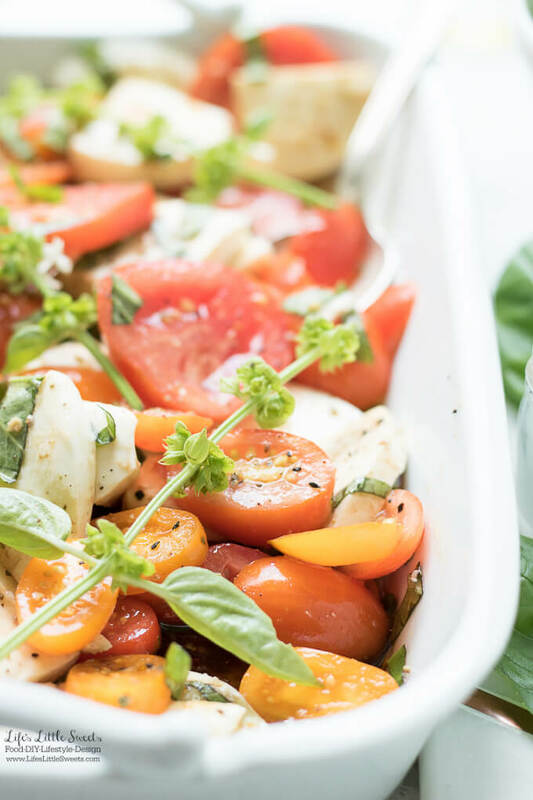 I know you will love this garden-inspired, Tomato Basil Mozzarella Salad! 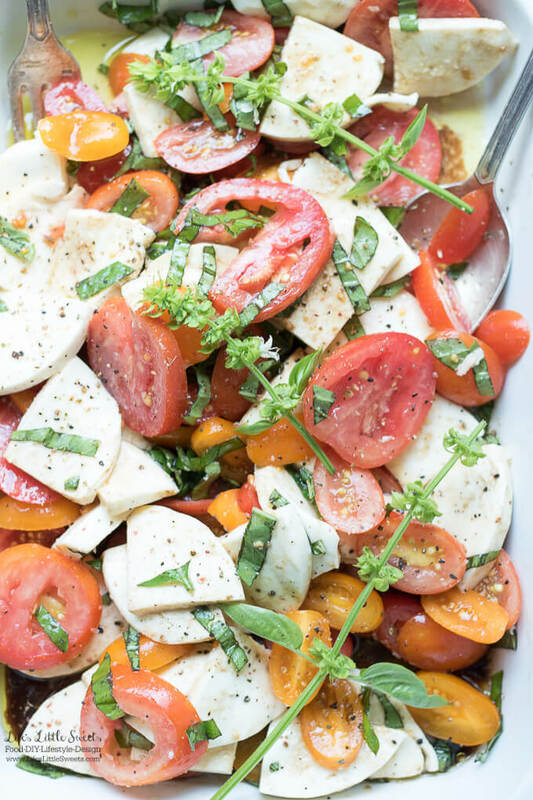 This Tomato Basil Mozzarella Salad is fragrant and full of garden-fresh flavors. 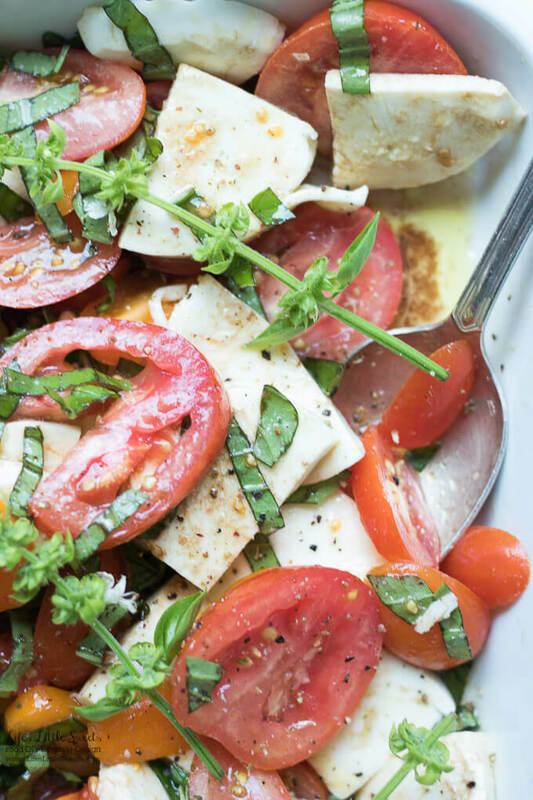 The dressing is a simple extra virgin olive oil and balsamic vinaigrette. 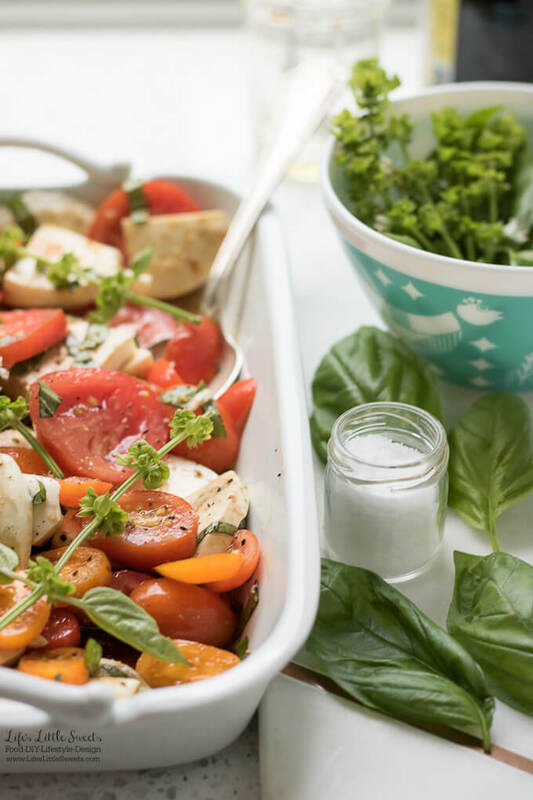 In a large mixing bowl or serving dish, mix prepared ingredients together and drizzle the Balsamic Vinaigrette Dressing over the top. 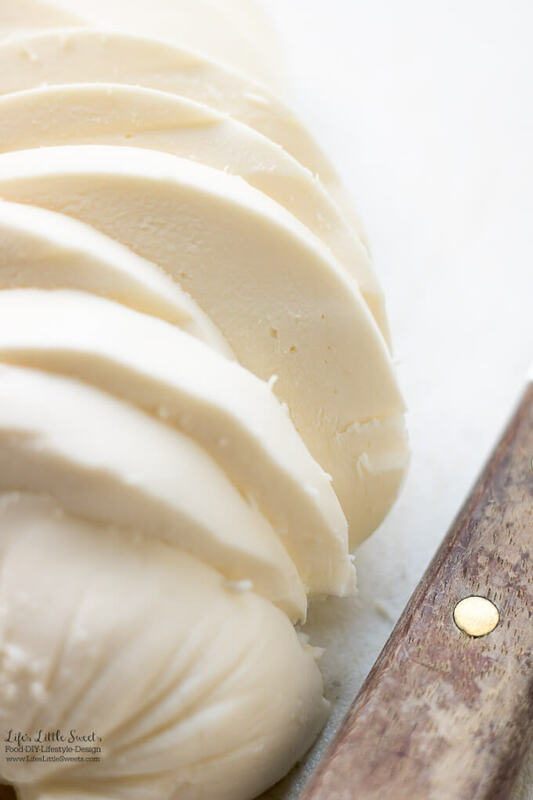 Toss to ensure that the ingredients are coated completely. Serve right away or chill first for a 1/2 hour before serving to let the ingredients "marinate." Enjoy!